Occasionally it is easier to resolve an issue when the tech can see your computer’s screen and make changes to your computer or modem with you watching, or you making the changes with the tech watching. This document shows how to download and install the software that allows our techs temporary access to your computer. You should discuss granting access to your computer ONLY to someone whose voice you recognize from earlier phone conversations. Don’t start start screen sharing if there is anything of a private nature on your desktop as our tech will see it. If any red flags of suspicion wave in your face, phone OlympusNet support. We ask you to remain with your computer for the entire time you’re sharing your screen. 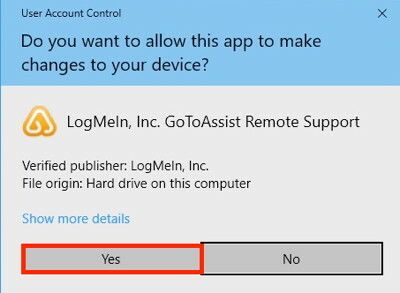 If you have to temporarily step away from the computer, please press the Stop button (Red X shown in the screenshot below step 5) which will end the sharing session and immediately remove your screen from the tech’s view. 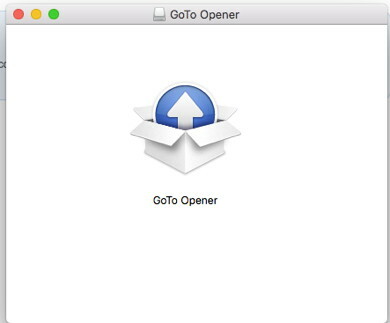 Following are the steps you’ll follow on a Mac computer to grant access. For Windows, see below the Macintosh section. 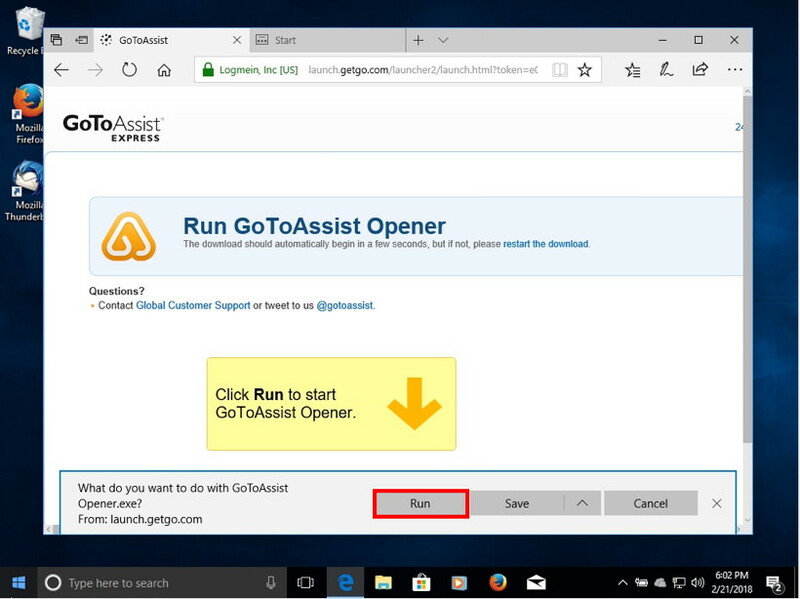 Enter www.fastsupport.com into the “Search or enter Address” field in Firefox, Safari, or other browser, then click your Enter or Return key on the keyboard. The URL will show the secure padlock and https as shown on the screenshot below. Enter a name or nickname into Your Name field. The tech on the phone with you will give you the Support Key to enter for the support session. Click on the Continue button. In the screenshot below, the big golden arrow points upward at a small downward-pointing arrow where downloads are found. Click on the small down arrow. Double-click on the arrow coming up out of a box to install. If this is the first time you’ve opened GoTo Opener, you may get the following warning. Click Open. Notice that you may click Stop at any time to close the session, and the tech will no longer be able to view your computer. Notice that you can send an instant message to the tech using the “Type message here” and clicking Send. Enter fastsupport.com in the URL of a browser page, and click Enter. Enter a name or nickname, and the Support Key the OlympusNet tech will give you, then click continue. The gold arrow of the Go To Assist Opener points at the Run button. Click on Run to continue. Connecting to Go To Assist progress will be shown. 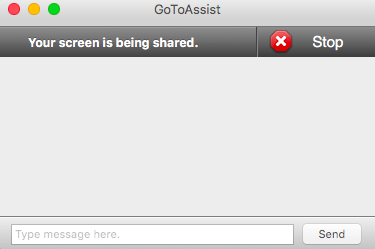 If this is the first time you’ve installed Go To Assist, you’ll be prompted to permit the app to make changes. Click Yes. Watch for the prompt to join the session. Click Join Session, and OlympusNet will be able to see your computer. Notice that you may click End Session, with the red X, at any time, and the tech will no longer be able to view your computer. Notice that you can send an instant message to the tech using the “Type message here” and clicking Send.